Paternity DNA testing is one of the easiest tests to do, whether in the convenience of your home or at a professional collection center. 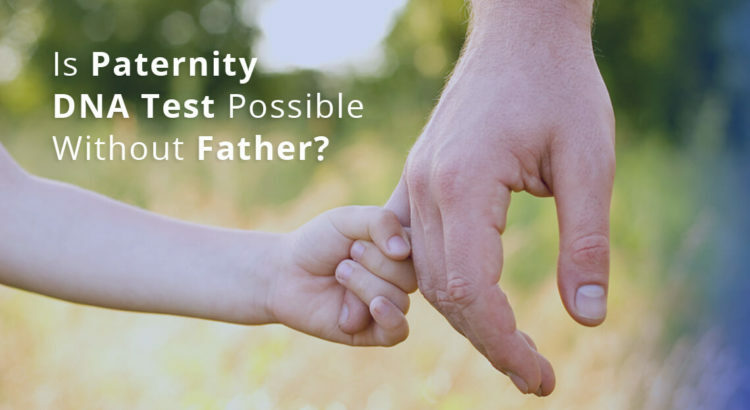 However, a lot of people often encounter situations where the alleged father might not be available, missing, deceased or simply unwilling to participate in a test. So what exactly does that mean? If the father is not there, is there any way to get this very important information? But thankfully, the good news is yes! There are other types of DNA testing that can answer a paternity question which can provide conclusive results. A DNA paternity test without the father requires the participation of one or more of his immediate biological relatives: Parents, siblings and other children of the father are all acceptable candidates to be tested. In this type of family reconstruction test, we always recommend including the child’s biological mother as her DNA can significantly enhance the results. Let’s take a look at some of the ways DNA Paternity Testing can help you obtain results without the Father’s direct involvement! Grandparent DNA Test: This is one of the best DNA tests to use when the alleged father is unavailable for paternity DNA testing. This test gives the most conclusive results of any DNA family reconstruction test by helping to determine paternity. Even if you can discover paternity using the DNA of a single grandparent, the results are more conclusive with both. Aunt-Uncle DNA Test: An avuncular test can compare a child’s DNA to an alleged aunt or uncle to determine their biological relationship. Sibling DNA Test: If you want to know that both the children share the same mother or father but the father is not available for testing, then we can compare the DNA between the two siblings. We all receive half of our DNA from our mothers and the other half from our fathers. In this case, the mother’s DNA helps greatly to obtain conclusive results. If you choose to do a legal DNA test for any of the above options, the results are admissible in court and can be used for Social Security and Immigration cases. Determining a paternity relationship using one or more of the above options is like putting together the pieces of a genetic puzzle and our experts at DDC Laboratories India are the best in the industry for the most successful results. However, if testing the father is simply not possible for any of the complicated reasons in your lives, don’t give up! Think about the alternative options available and contact us or call us at: +91 7042446667, 9266615552 and we would be happy to offer you the best DNA test and advice for your individual situation.